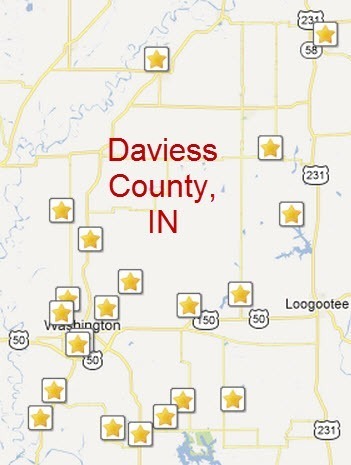 View the sites of the Daviess County Historic Geo-caching Trail. This trail links different parts of our history with the fun activity of geo-caching. Using a GPS device to find the sites you are able to log in and show you have participated in the high tech scavenger hunt. Each site has a phone number to call that details the historical information pertinent to the site. Visit the premier website for this activity at Geocaching.com and see how many sites are available in our area and visit our geotour for all of our sites.